Google AdWords Notes Have Arrived: Add Annotations in AdWords Just Like You Do in Google Analytics! If you’ve spent any significant amount of time inside of an AdWords account, you may have wondered why there wasn’t some sort of annotation or note taking system available. Google Analytics has had this ability for as long as I can remember and in the AdWords world we have felt left out – until today. We can finally confirm the recent announcement that Google is officially rolling out the long awaited ‘Notes’ functionality for AdWords. We started seeing this appear in some of our accounts today. 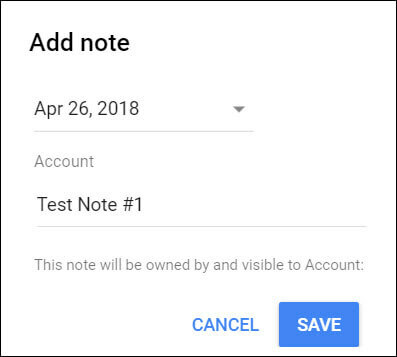 To add a note in AdWords, all you need to do is jump over into an account, campaign, or ad group chart, click on a date where you would like to enter a note, then choose ‘Add Note’. From here you will be presented with a note entry dialog box. In some cases, based on where you are within your account, there will be information on which level and account the note will be applied to. Once you have notes captured in your accounts, you can review them by clicking on the square note indicator, which will appear just below the graph. You can continue to then add additional notes or choose to review all of your notes. From the ‘See All Notes’ option, you can view who created the specific notes and also edit and delete as you see fit. 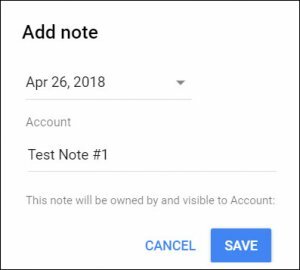 As a long time PPCer, I’m very excited and we’re definitely looking forward to making use of this new note taking functionality in our AdWords accounts. We can now indicate directly in the new AdWords UI when certain optimizations happened, reasons we saw major performance fluctuations, and more. Are you as excited as we are for this new functionality? Drop us a line and let us know what your notetaking plans are.